The Amiga series of computers is renowned for its amazing sound -- and the terrific scores that video game composers were able to wrangle. In this episode of Retro Reprise, Syl joins Syp for a look and listen back at this machine and the tunes that carry on its legacy! On this episode of Retro Reprise, Syl drags Syp back to her childhood playing on the Atari ST -- and the tunes that made this machine so memorable. Do these tracks withstand the test of time? Find out -- if you dare! It's been a year-and-a-half since Syl and Syp first dove into Final Fantasy music, but now the duo is back to discuss combat themes from four of the game's 1990s installments! From One-Winged Angel to The Man with a Machine Gun, it's all the classics you've been listening to -- and adoring -- for years, packaged with exclusive fan commentary! FFV: "Clash on the Big Bridge"
FFVIII: "The Man with a Machine Gun"
When it comes to talking about the music from the original NES, everyone seems to always reference the same games. But what about those "other" titles with interesting and memorable soundtracks that get ignored? In today's show, Syp pulls out 10 offbeat NES music tracks that you might have never heard of -- but definitely should! Buckle up, Retro Reprise is about to go off the beaten path and into the wild unknown! "Good Weather" from Mr. Gimmick! Syp returns to the 8-bit era as he counts down his top 10 favorite Gameboy tunes. It's a harder task than you think, considering how long the system was out and how many great games and soundtracks were created for it! Chances are he'll ignore your favorite, but it'll be a fun show nevertheless with lots of cheery and catchy tracks. What's your favorite? What was originally the swan song -- the "final" game developed -- of Square turned into the studio's flagship franchise that is now in its 30th year. For the return of Retro Reprise, Syl and Syp take a nostalgic journey back through the first nine Final Fantasy games, looking at the music from the NES, SNES, and PlayStation eras. Missing the combat tracks? Stay tuned for part 2 of this series! Final Fantasy I: "Main Theme"
Final Fantasy I: "Matoya's Cave"
Final Fantasy II: "Chocobo Theme"
Final Fantasy IV: "Victory Theme"
Final Fantasy IV: "Love Theme"
Final Fantasy VI: "Terra's Theme"
Final Fantasy VI: "Aria Di Mezzo Carattere (Opera Theme)"
Final Fantasy VII: "Aeris' Theme"
Final Fantasy VII: "Cosmo Canyon"
Final Fantasy VII: "Chasing the Black Caped Man"
Final Fantasy VII: "Ahead on our Way (Kalm Village)"
Final Fantasy VIII: "Liberi Fatali"
Final Fantasy VIII: "Balamb Garden"
Final Fantasy VIII: "Fisherman's Horizon"
Final Fantasy IX: "Behind the Door"
Final Fantasy IX: "The Place I'll Return to Someday"
Candles will no longer haunt Syp's dreams -- Simon Belmont is here to whip them out of existence once and for all! Oh, and also Dracula. In today's show, Castlevania on the NES gets the star treatment as Syp dives into the music from the gothic horror platformer trilogy. It was the 8-bit console pretty much nobody owned -- and yet has endured longer than any console to date. 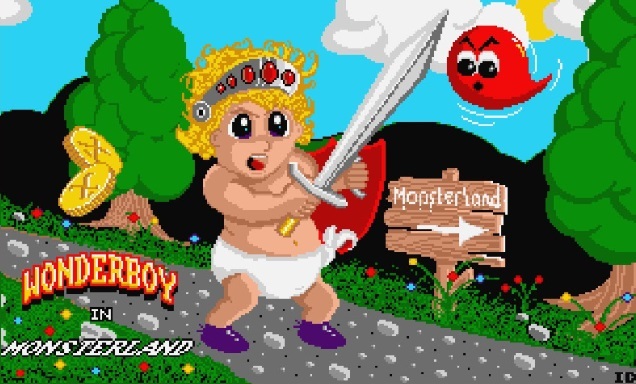 The Sega Master System has a fascinating history and some (if not a ton of) great chiptunes. Give it a listen and you might learn a thing or two about the video game industry while rocking out to some great VGM! Jump to hyperspace and turn up the tunes, for Syp is going full-on into Star Control 2's amazing and bizarre soundtrack. It's an oddity among video game scores, even to this day, and much beloved because of it. Retro Reprise Episode 6: Listener requests! Syp doesn't hold a monopoly on retro VGM -- far from it! In this episode, he plays a melting pot of listener requests from many eras, platforms, and genres. Want to send in your own requests for a future show? Drop him a line on Twitter @Sypster! The name's Syp. Just Syp. And I'm definitely not a super secret agent, nor a covert Russian spy, nor a particularly savvy podcaster. But I do know what I like when it comes to video game music, and 1997's Goldeneye 007 has probably my favorite Nintendo 64 score. It's the perfect soundtrack to all of life's activities, granted that you're infiltrating Cold War-era bases and blowing away scowling terrorists! What do you get when you take a space janitor and throw him into head-imploding danger? He dies, an awful lot -- but it's pretty funny when he does! In this episode of Retro Reprise, Syp takes a journey through the Space Quest series and its decidedly quirky soundtrack. It's the 25th anniversary of one of the best video game consoles of all time, and to celebrate, Syp is counting down his top 10 favorite Super NES tunes. It's all about personal choice, fond memories, and new discoveries in this second episode of Retro Reprise! Is your life a duck blur? Then you're going to need a strong dose of the Duck Tales to get you through it! Woo-ooo! Welcome to Retro Reprise, a brand-new half-hour podcast showcasing classic video game music from the '80s and '90s. 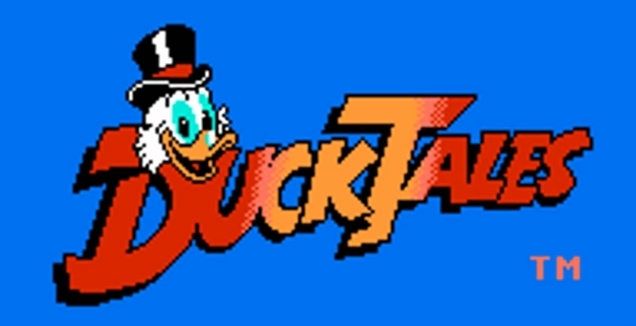 For the maiden episode, we look at one of the NES' best soundtracks: Duck Tales. From the moon to the mines of Africa, this soundtrack was rocking it back in 1989 -- and it still does today, considering all of the covers created by budding musicians on YouTube.